If you are planning to attend the 2010 ShopBot Jamboree held tomorrow April 23rd and Saturday April 24th in Durham, NC, you will want to check out the informative eCabinet Systems presentation hosted by Dennis Englert. 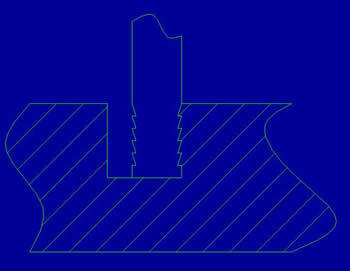 Dennis is the Manager of Product Training here at Thermwood, and is a guru with eCabinet Systems. He is also the author and voice behind our popular eCabinet Systems Online Training program. 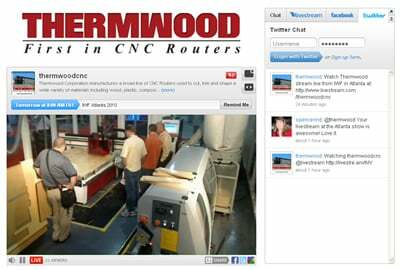 Dennis will be representing Thermwood and more specifically, eCabinet Systems at the Jamboree. He will be demonstrating the power and flexibility of eCabinet Systems as well as how you can use the ShopBot/eCabinet Systems Link to export your eCabinet Systems .twd files into a format that will run on a ShopBot. 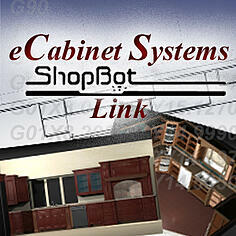 He will have the ShopBot/eCabinet Systems Link on-hand for purchase as well as "The Nearly Complete Guide to eCabinet Systems". Make plans now to attend the Jamboree and experience the eCabinet Systems presentation for expert guidance and tips.